By the end of 2019, the R-22 Freon will no longer be sold in the United States and the rest of the world. Effective January 1, 2020, as part of a worldwide initiative in 1989 called The Montreal Protocol to eliminate ozone depletion refrigerants that harm the environment. 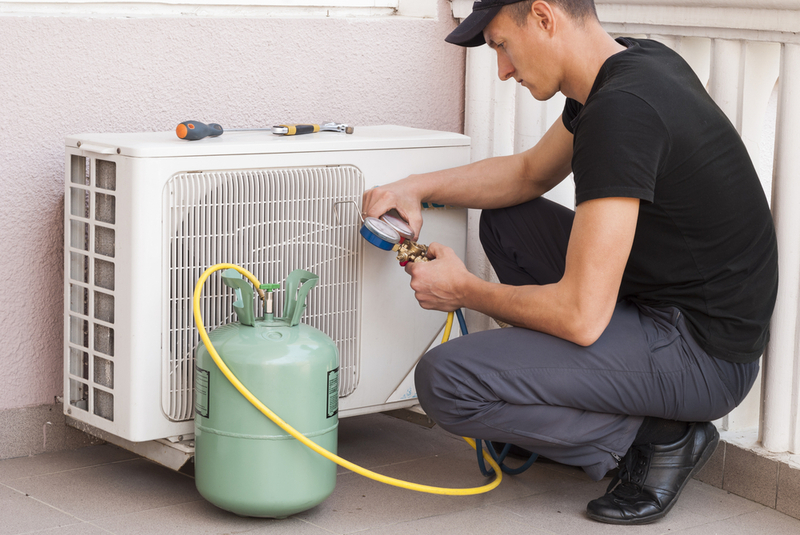 Most residential air conditioning systems installed before 2005 have R-22 Freon Refrigerant. Many homeowners have been nursing their R-22 systems for years but in 2019 with the price of this refrigerant selling for over $200/lb, it will make economic sense to replace them with a R-410A system. The average life of a residential air conditioning system in our region is 14-15 years. So chances are, if you have a R-22 system, it was installed in the early 2000 or before. It has provided comfort for your home and is at the end of its useful life. All components of this system are out of warranty and not readily available. Most probably around a 10.0 SEER system so not very efficient by today’s standard. It would be advisable to replace this R-22 system with a Higher efficient R410A system. The minimum efficient system would be a 14.0 SEER system which would be 40 percent more efficient than your R-22 system and it would good for the environment. You could install a higher efficient system 16-18.0 SEER that would be 60-75 percent more efficient than your R-22 system. A new R410A system comes with a 10 year Warranty on all Parts. So you can see that 2019, more than ever, is the time for the homeowner to replace their R-22 Freon system.